Lewis Levy is a senior partner of Levy, Ford & Wallach. With more than 30 years experience and over 300 cases taken to trial in labor and employment law proceedings, Mr. Levy, continues a prestigious family legacy initiated by his father, Abe F. Levy, Esq., and his grandfather Louis Levy, of fighting for justice on behalf of working men and women. Recognized as one of the nation’s elite practitioners in the specialized field of labor employment law, Mr. Levy represents a wide spectrum of labor organizations, employee benefit trust funds, and individuals. Unions at the local and international levels in the public and private sectors turn to Mr. Levy for comprehensive successful legal strategies. This involves representing organized labor in myriad vital areas of the economy including aerospace, telecommunications, professional and clerical, hotel and hospitality, entertainment and the public sector. Familiar with complex legal issues, Mr. Levy deals extensively with the National Labor Relations Act (“NLRA”), the Employee Retirement Income Security Act (“ERISA”), statutory regulations, and “case law” jurisprudence. This encompasses the law governing such issues as the pursuit of union grievances against employers, strikes and picketing, the negotiation collective bargaining agreements, the enforcement of employers’ contractual agreements to make contributions to employee welfare plans, unlawful employer harassment towards and discrimination against unions and union members and other illegal employer conduct involving union organizing drives. Mr. Levy also advises employee welfare plans on compliance with ERISA and the numerous federal laws and regulations that apply to employee benefit plans. As the world of employee welfare plans is impacted and changed by the implementation of the complex Affordable Care Act) the “ACA”), Mr. Levy is there to provide proper and competent advice with regard to what employee welfare plans must do to comply with the ACA. Comfortable with resolving these matters in numerous legal arenas, Mr. Levy frequently represents clients in arbitrations, union-employer contract negotiations, mediations, Public Employment Relations Employee Relations Board (“PERB”) hearings, National Labor Relations Board (“NLRB”) proceedings, as well as State and Federal court trials and appeals. 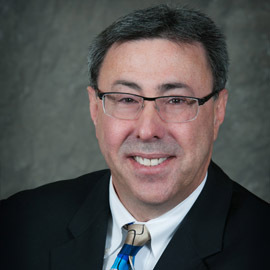 A dual member of the State Bar of California and State Bar of Nevada, Mr. Levy represents many clients from both States. In addition to California and Nevada state courts, he is admitted to practice before the United States Supreme Court as well as various United States Circuit Courts of Appeal and United States District Courts. As a dynamic legal champion for organized labor, Mr. Levy educates labor leaders, union members, and employees about their employment rights. For over 25 years and counting, Mr. Levy has been a certificated faculty member of the Labor Studies Program at the Los Angeles Trade Technical College. Acknowledged by his peers for outstanding commitment and highest level of ethics in the practice of labor law, he is the elected president of the Los Angeles Chapter of the Labor and Employment Relations Association. He has co-authored with his father, Abe F. Levy, Esq., the chapter on “Labor Law”, in the Encyclopedia of the American Judicial System (Robert Janosik, Editor, 1987). Carrying on yet another family tradition. Mr. Levy is also a longstanding member of the Board of Directors for the Western Region of the Jewish Labor Committee (“JLC”), an organization his grandfather Louis once served. In his capacity as a JLC Board Member, Mr. Levy donates his expertise to the JLC so that JLC can fulfill its mission of bringing together the Jewish community and all facets of organized labor. Additionally, Mr. Levy is the current President of the Los Angeles Labor and Employment Relations Association (“LA LERA”), the Los Angeles chapter of the national Labor & Employment Relations Association. LA LERA is dedicated to bring labor relations professionals together in educational and social settings for the purpose of fostering the free flow of ideas between labor and management advocates in non-adversarial setting. Mr. Levy graduated from Southwestern Law School in 1982 with a degree of Juris Doctor and was admitted to the California Bar in November, 1982. He then successfully sat for the Nevada Bar and was admitted to practice in Nevada in 1984. Mr. Levy received his BA in History from Santa Clara University in 1979.